Here’s some ancient video with the song in the title (above–about “domestic terrorism”) being sung by Sir Bob Geldof… For those too young to remember, the event was “Live Aid,” an attempt at famine relief for the people of Ethiopia. 30 years later and famine (and war and guns and the killing of innocents) seems likely just as big a problem. Something to think about, maybe, as the festive–and cold and wet–seasons are upon us. Of course, in football, the festive season means something different and it is definitely here. (Our) Santi Claus (is on the sidelines, but…) has already delivered a wondrous gift. Who would have guessed Arsenal and Manchester City would be sitting over a dozen points ahead of the defending champions heading to the Christmas season? Let’s check those prediction posts, if you like. Southampton-Tottenham might have been OK, what with the manager of the one now being the manager of the other and all that singing about Saints and Spurs and coming in. Liverpool-Watford? Huh? Everton-Leicester probably wasn’t even discussed, but that’s the one I watched today. I guess that’s why they play the matches–or wait until May to give away the trophies–except for the League Cup, which happens earlier. Leicester did the business up there on Merseyside so they will remain top of the table. Arsenal and City thus need a win to keep pace. As such, this is a big one. Don’t tell anyone, but they’re all big, and, in fact, in my estimation at least, both managers would probably take a draw and move happily forward. These ‘big’ matches, at least in the first half of the season, are as much about positioning and controlling the narratives. Whom do we favour on that account? Wenger or Guardiola? 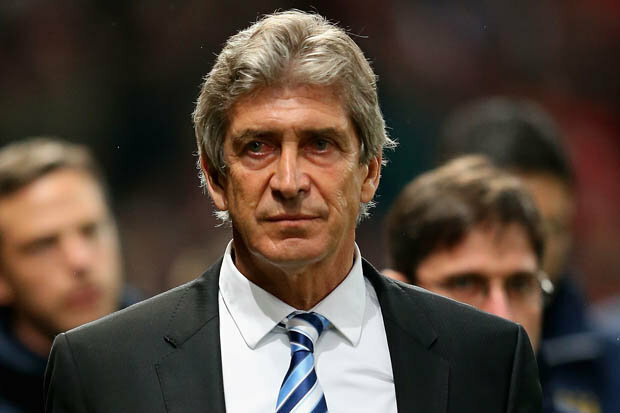 Oh, wait, Manuel Pellegrini is still manager at Man City and, unlike the guy who used to manage at Chelsea, he might be professional enough to actually not want to lose this one, even if he’s already (or once again…) a dead man walking. Do we care about the stories at Manchester City? Do we care about the billions of pounds spent on decent players–managers too–all in the name of putting Abu Dhabi on the football map? In my opinion it is nice to see some of the best footballers out of Argentina, West Africa and Spain even if they only play part-time for their club team. Amongst los ches, Kun Aguero and Nicolas Otamendi will likely feature (Pablo Zabeleta won’t, still injured). From Cote d’Ivoire, Yaya Toure will play and Wilfried Bony and the young Nigerian, Kelechi Iheanacho, might. David Silva (actually born in Las Canarias) will pull the strings for the City attack while Jesus Navas (un Sevillano) might be charged with bringing pace and width. There’s also talent from Belgium–Kevin De Bruyne will surely play some role even if Vincent Kompany won’t due to injury. There are even some English players: Raheem Sterling in attack, Fabian Delph in midfield, and Joe Hart in goal. Or, perhaps, we care about the steady stream of Arsenal players who’ve headed to the baby blue side of Manchester to get one of those ‘play half, earn double’ contracts? Bacary Sagna and Gael Clichy probably won’t run the length of the pitch to taunt our fans if they score. (Being fullbacks they probably won’t score, but you never know.) Neither will Samir Nasri, injured again as he is… Does Emmanuel Adebayor still play football? It’s possible we care about OUR players. Injuries are our story, but we’ve now avoided (more of) them while getting results over the past three matches. If we can do so again, the manager will likely be over the moon–regardless of the result. A result plus everybody (or every body…) intact and it might be called, “Over a Blue Moon.” If we could get a key player back, even better. Alexis Sanchez, returned from Chile and his enforced late-autumn break, is a late decision. We would expect him to be puppy-dog eager for a chance to test the hamstring he pulled at West Bromwich Albion. My hunch is that he only gets a bench seat–and only plays if we need goals. Otherwise, the team which won at Olympiakos and Aston Villa very likely goes again. The early priority, especially if City start Aguero, will be keeping City’s cohort of attacking talent from putting the ball in our net. This means positional discipline from everyone, particularly deep-lying midfielders, Mathieu Flamini and Aaron Ramsey, and, perhaps, a bit less bombing forward from our two Spanish fullbacks, Hector Bellerin and Nacho Monreal. The front group will be thinking more about playing on the break and working off Olivier Giroud’s hold up work. Winning set pieces–for both teams–might be seen as the least risky way to try and get ahead. If, as they game evolves, we can hold some possession and get the wall of Flamsey (Flambo? Ramsini?) and the fullbacks alternating covering for one another with their forward runs, we might be able to turn open play to our advantage. A goal would open things up, but both teams, I think, will be keener to avoid conceding, even if neither squad really appears built to play the waiting game. That’s just my take on things and I’d love to hear any feedback. I’ll likely also try to put together another little live-blog at match-time. Please participate if you have the urge. It feels not a little lonely (and stupid…) when it’s just me. Merry Christmas everyone, and a happier New Year. With very little space to maneuver, that’s an excellent post HT. Having seven days to train before tomorrow’s match convinces me that Alexis would be a starter all things being equal. This is a match in which I feel we need to conceded possession and that’s why I will play Walcott top instead of Giroud, and Alexis wide left. Gerry, you back! What about your dog. I missed him so much! You have missed the best part of a couple of months here..
Can’t get the lineup wrong.. unless Alexis wants to start the game. I prefer Flambo. Rhymes better than Flamsey and Ramsini. We need to win to keep pace with Leicester. They will be on top by Christmas, but we need our fellow EPL teams to deny them the top by new year. I am watching the match between Barca and River Plate.. They are very similar to the Munich guys, and everyone gave 100%.. they have 2 fantastic divers in Neymar and The Biter.. If we are to get a ref who does not clampdown on divers when we play them, then we are in for a bad day. 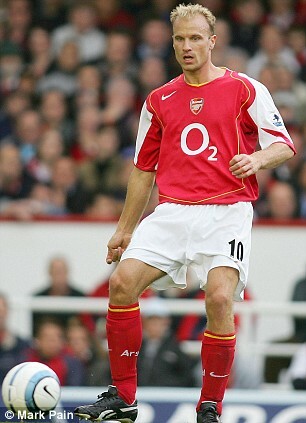 However, we can have a chance if we play like the team in the Champions League final against Barca years ago.. Hopefully Cech will not do a Jens. Nice preview by 17 to warm us up ahead of the biggest match of the first half of the season. We have lost to Chavs but thrashed United and Swans which spells bad news for City. 😀 Eight victories we have already achieved since that victory in Newcastle and two draws. First part was wrong, second part was half wrong, third part is right, fourth part is right, right, right, fifth part is right, right, right and sixth part is half right. Afternoon HT. Great preview, and I share your view on the line up. Like PE I can see the attraction of Walcott up front using his pace against a suspect city defence, missing their leader. But given the form of Giroud and the fact that Walcott is just coming back from injury, I can’t see Giroud starting on the bench. Alexis should start from the bench too – all logic suggests – but he could get the nod ahead of Campbell (or Walcott frankly) if he really has shown himself back and fit; but it would feel like a somewhat desperate move if we did start him. I can’t call this one at all – it so much depends on which city side turns up, the one that is driven forward by Toure, inspired by Silva and is lethal through Kun, or the other that looks like it can’t be arsed from the off and meekly accepts a 3 nil drubbing. Hoping for the latter obviously, but expecting city to be up for it and seeking to put down a marker as contenders. Merry Christmas guys, hope it’s a good one. I think you have the team spot on HT . However as well as Campbell has done, City have some pretty tough tacklers and if the ref doesn’t protect him he does look a little light weight. Anything but a loss will be a good result. Again, been awhile, and been busy. First up, best of the season to all! Second up, the lineup or the one above with Theo are good. Alexis is a 50-50 but Joel’s been playing well, so why not stay there and bring in Alexis for a cameo later. Equally, we might see Joel move back, AR move up and Ozil get a rest, but that’s long range thinking. He too needs a rest methinks.. Finally, the result, well I think a draw, but the bounce of the ball is to play for here. In our favour, we are at home, Kompany is out and Ageuro isn’t 100%. They too have injuries so on balance that may not play a role. I call it 2-1 Arsenal if Ozil plays, 1-1 if he doesn’t. We’ll see, but I have a feeling both teams will be keen to play in a good spirit given that injuries have been a factor for both squads. Neither group will want to lose anybody to further physical problems nor suspension.